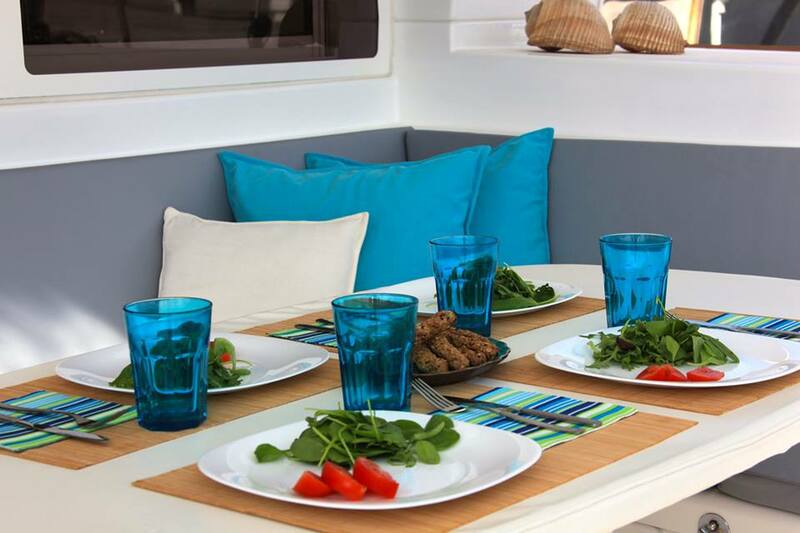 "excellent" is a luxurious 40 feet sailing catamaran built in 2012 at CNB shipyard in France. She offers exceptional living areas to accommodate eight guests in a very comfortable and enjoyable way. 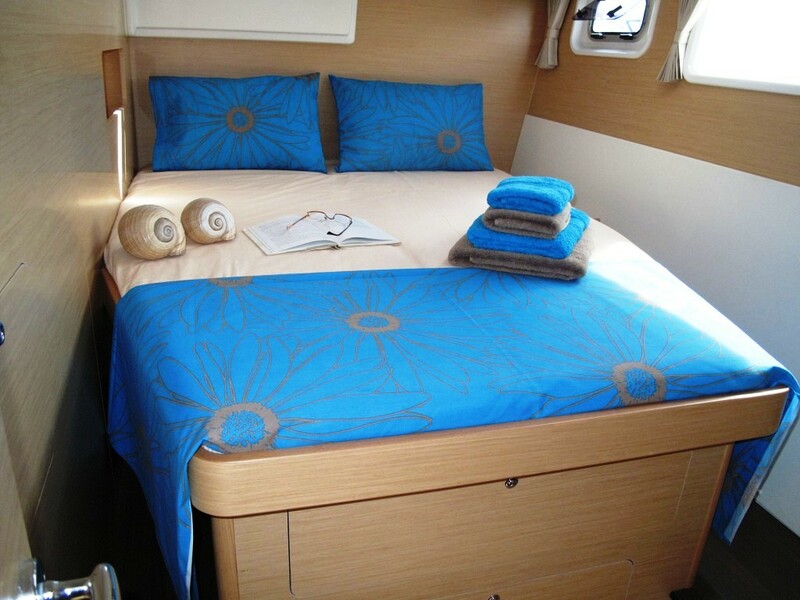 Catamaran is synonymous with high class sailing at its best, and it is a perfect home for your sailing adventure. This type of vessel with its two hulls is for someone who does not want to give up comfort and stability even when they are out in the open sea. There is a 360o visibility from the saloon and an exceptional luminosity in the cabins thanks to large hull windows. 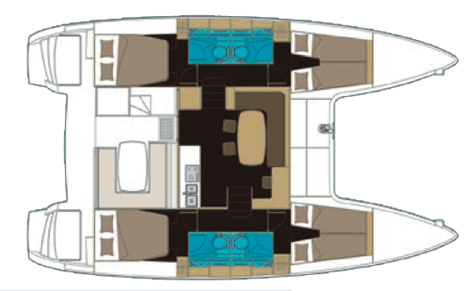 There is also an exceptional living space on the deck and the cockpit and easy passage on wide sidedecks. 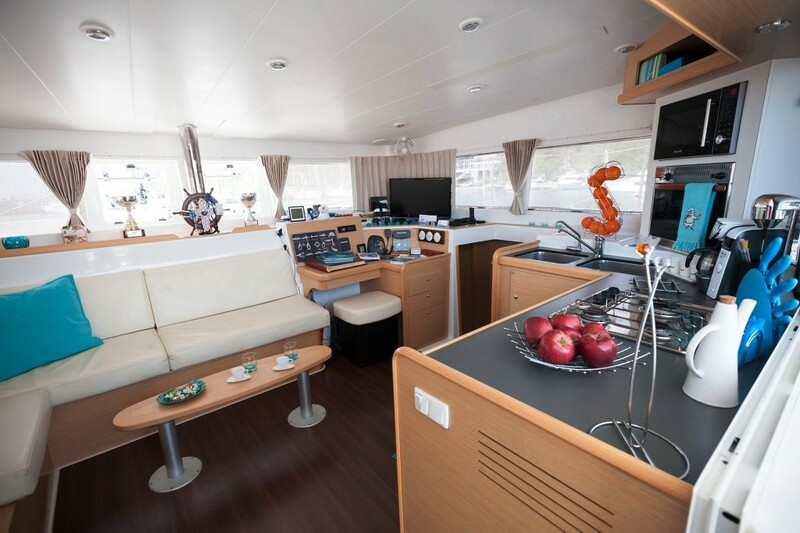 With 4 cabins and 4 bathrooms, this yacht is spacious and great for groups of up to 8 passengers. 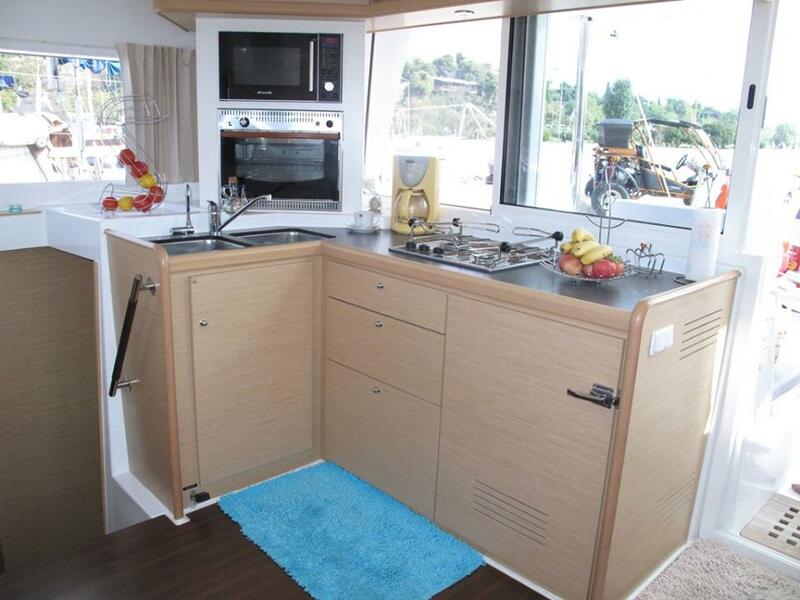 There are 2 cabins that have double beds and the other 2 cabins offer double beds convertible into single berths. 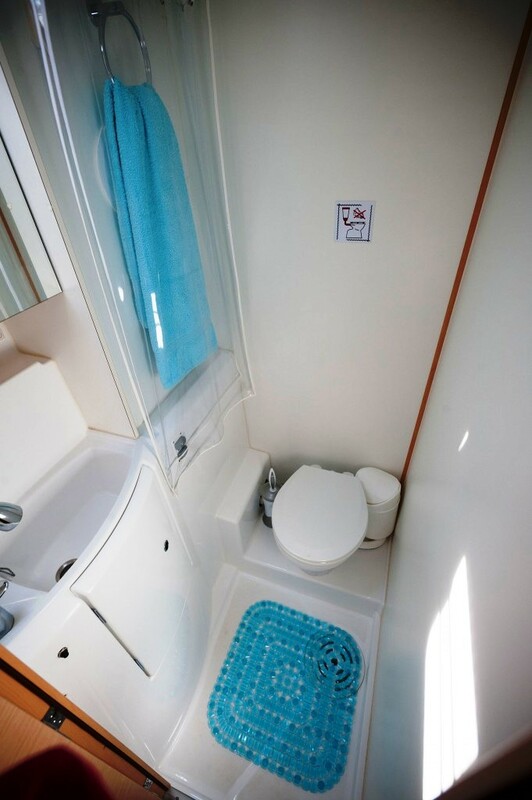 Each cabin has its own ensuite with a shower. There are also 2 extra cabins with their own WC for the crew.